The Masters of Regressive Prog-Metal are back! Underground Symphony proudly announces all the last details regarding the new Fury N Grace ‘s album. “A Dream-Letter To The Witches Of Western Europe” is a horror tour de force celebrating everything monstrous: their third and finest effort finds the band reaching a creative peak of weirdness and intensity, taking their vision a step farther toward dementia and venom. Filled to the brim with the bizarre imagery of the lyrics, instrumental intricacies, menacing atmospheres and doomy vibes, the album features a stunning new singer with bluesy depth and potency, Franco Campanella (Spanking Hour). It is a strong and uncompromising musical statement, an enigmatic and ominous gem. The album features guest performances by Fango DUmatt Gigerz, John Llewellyn Probert, Maurizio Savini, Davide Colombo, Federico Binelli, Gabriele Ferrario, D.F.Lewis, Matt Giuliani, Ian James Parker, Silvia Gadina, Marco Di Lucca and Marco Candela. Produced and arranged by Fury N Grace; engineered by Davide Colombo @ Diana Studios; bass engineered by Marco Coti Zelati; mixed and mastered by Federico Pennazzato @ Music Ink. 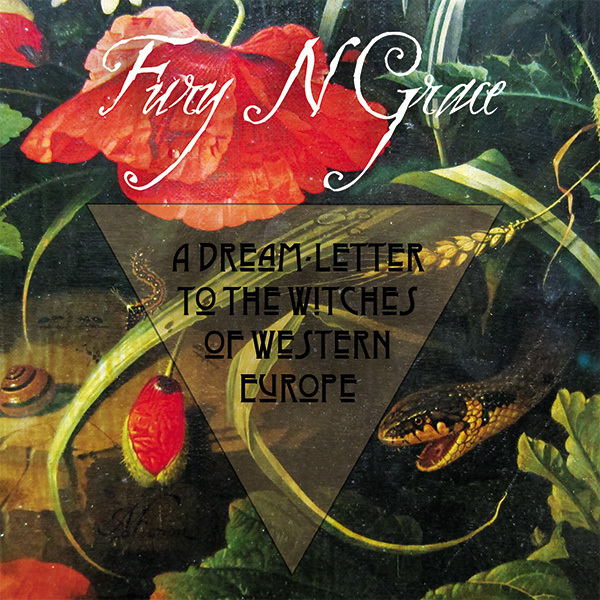 “A Dream-Letter To The Witches Of Western Europe” is set for release on September 2016, on www.usstore.it. Below are the cover designed by Arnaldo Di Carrara III and the tracklist of the album.